Reloj para hombre Tommy Hilfiger 1791121, mecanismo de cuarzo, diseño con varias esferas, correa de acero inoxidable. 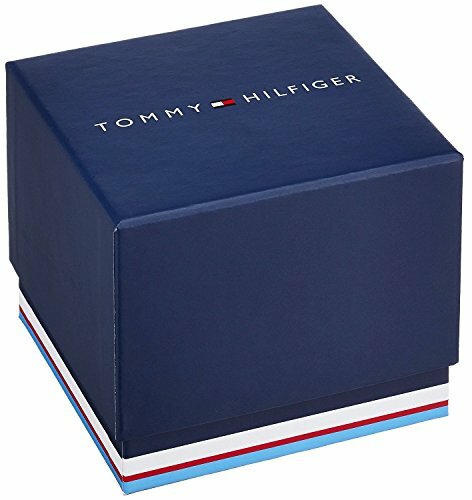 A stunning blend of classic style and innovation sets this Men?s Tommy Hilfiger watch apart from the rest. 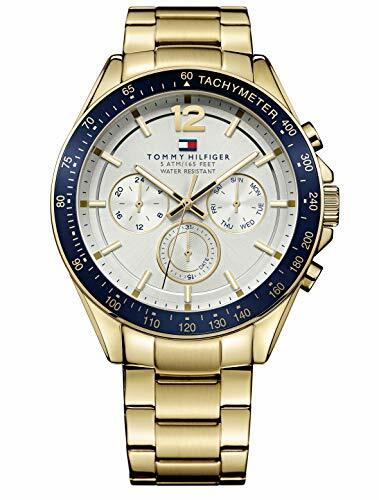 A beautiful ionic gold plated stainless steel case, blue bezel with Tachymeter, engine turned sub dial, Arabic marker and batons, day, date and 24 hour sub dials. Partnered with a highly polished ionic gold plated stainless steel bracelet. 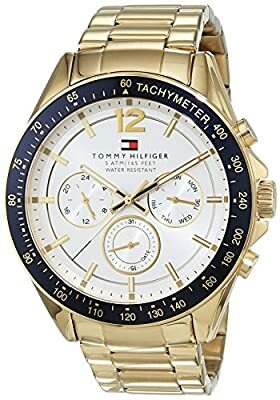 This Tommy Hilfiger Men?s watch is pure elegance.